We provided grants directly to carers who live inn Argyll and Bute. We provided grants directly to carers who support those affected by mental illness living in Scotland. 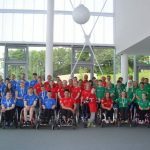 We provided a fully-supported, managed, all-inclusive residential multi-sports and activity camp for 35 youngsters at the newly refurbished accessible Inverclyde Centre in Largs. The camp was four days long and provides a positive, inclusive and active environment for youngsters aged 10-18 with a physical or sensory impairment. We provided five residential 5 day sail training voyages for young carers in 2017. 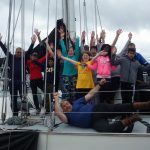 The holistic voyage experience sailing around the Scottish coast enabled young carers to develop new interests and skills, lasting friendships, and lead their own life outwith their caring responsibilities. We provided a 3 day residential to Ardroy Outdoor Centre for young carers aged 8-12 years from Cowal & Bute. The young people took part in Canoeing, Jacob’s Ladder, Splosh, Labyrinth and other activities! In addition, the project supported young carers aged 12-18 years to attend the Scottish Young Carers Festival. We provided a weekly social club for adults who are socially isolated due to reduced physical and mental well being we gave their carers time to have a break from their caring responsibilities. We organised a programme of short breaks (residential and day events) for carers, and those being cared for, from the Gypsy/Traveller community in rural and urban areas of Scotland. 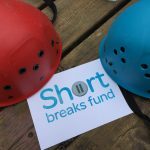 Each break was designed to reduce isolation, promote wellbeing and improve knowledge of mainstream carer-related services. We provided a monthly peer support group for parent carers. The group has given parents the opportunity to meet for peer support, to chat and share experiences, and develop friendships. We also provided wellness and relaxation opportunities to parent carers and organised a weekend family group trip. We delivered a monthly Youth Club, a weekly sports club (term time), the Zone Club in partnership with Active Schools, one-to-one support and a monthly Parent Forum. 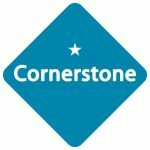 CLASP Cornerstone supports children with disabilities and their parents/carers in Argyll and Bute. The service supports 36 children between the ages of 5-19 through a variety of services. 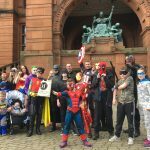 We worked with St Roch’s After School Club to provide a wide variety of fun & stimulating activities and opportunities for our deaf young people, from all over the West of Scotland and beyond. 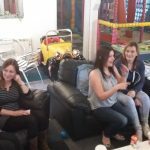 They met and mixed with an age appropriate peer group while their carers enjoyed a break from their caring roles. This helped alleviate the isolation and loneliness they experience in a hearing world, builds confidence & self esteem, fosters life long friendships and helps our young people to see their deafness in a more positive light. West Scotland Deaf Children’s Society provides social and emotional support to deaf children, young people and their families. For many of our families the clubs provide the only social activity and meaningful peer interaction that the children and young people have, and the only break their carers are able to actually relax and benefit from. "Thoroughly enjoyed the total relaxation and the time spent away from home. Did me a power of good - I am now a Pampered person! - Thank you"